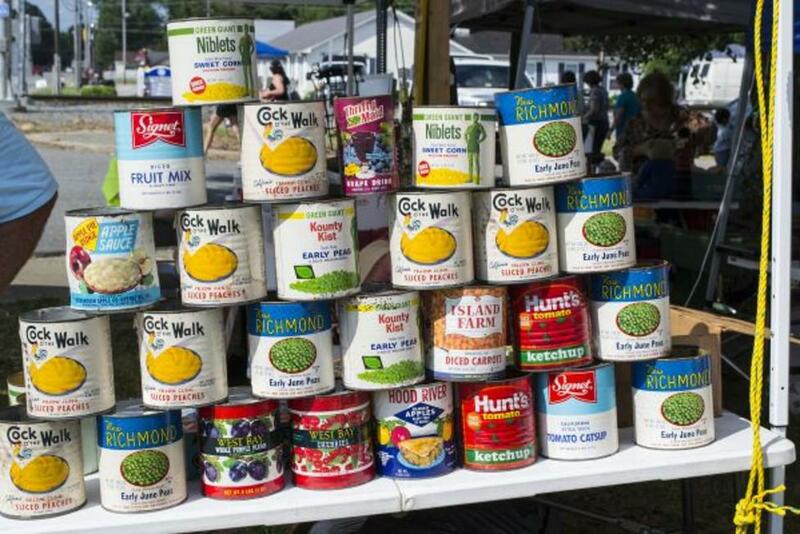 Today was the first of two days in which thousands of shoppers and hundreds of vendors come together for 100 miles of yard sales. 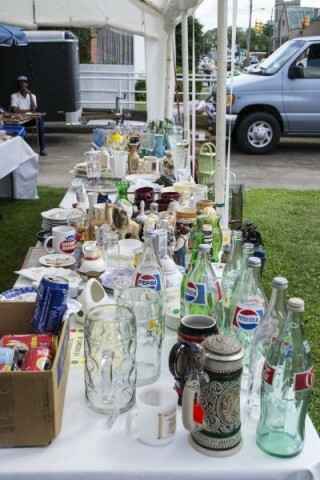 This year is the fourth annual 301 Endless Yard Sale and it&apos;s off to a great start here in Johnston County. Visit 301EndlessYardSale.com for a map and more information. Here are just a few pictures from our first day exploring the route in Johnston County! 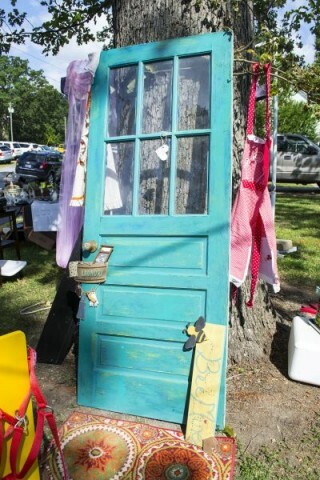 This cute teal door is perfection! How many tutorials can you find on what to do with it? 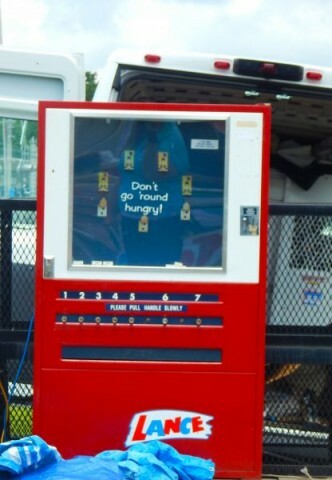 If you collect antique vending machines, be sure to check out the 301 stretch between Benson and Four Oaks. Going somewhere? 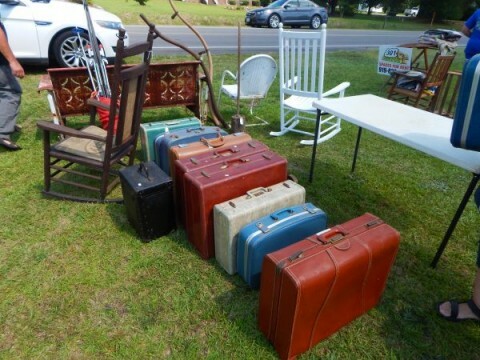 Just love vintage luggage? Both? Glass bottles, or really glass of any sort seems to be very popular this year. Lots of vendors are selling these. 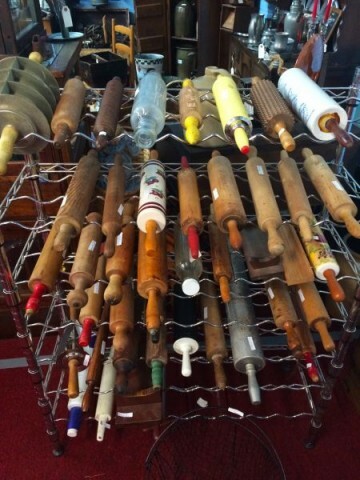 Don&apos;t forget to go into the antique and vintage storefronts in downtown Selma and Benson, they&apos;ve got great stuff too. 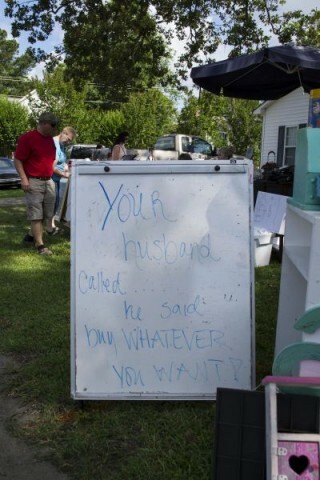 Lastly, remember that your husband called, and he said to spend as much as you want. What a great sign, right? Other participating counties include Halifax, Nash, Wilson, and Harnett. Be sure to explore as much of the sale as you can tomorrow, and don&apos;t forget about the locally owned restaurants along the 301 route. There are some delicious treats hidden among all those treasures. Be sure to keep up with the sale and all there is to find by searching for and using #301EndlessYardSale on Facebook, Twitter, and Instagram!